We have been in the cusp of Aquarian energy for a while, and we can see how the negative aspects of the Aquarian frequency are manifesting in the reality around us. Fracking, gmo’s, chemtrails, engineered diseases, to name a few. 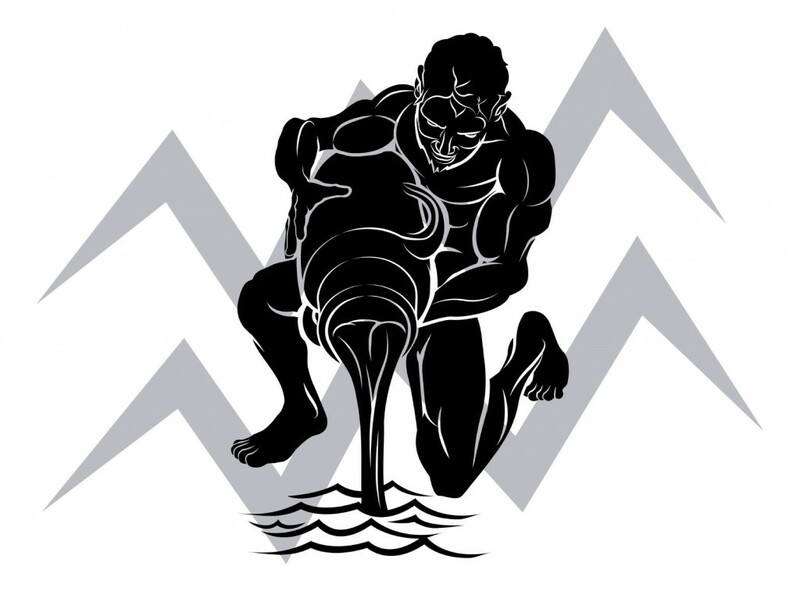 Aquarius is a fixed, male polarity of Air and can be rigid and ruthless in its thinking. In its negative aspects its resonates with the hard, cold intellect of the vivisector, the cruel geneticist, with no heart to hold the balance. On the energetic plane, this is the reptile mindset of the controllers of our planet. The blue blood nests have dangerous thoughts and, the power to make their insanity…reality. With each passing generation their power grows and we become more reptilian in nature, more anxious, addicted, competitive, obsessive and controlled by electronic gadgets and the fantasy world we think is real. We have lost touch with nature and our kin the animals, and care only for this new app and that new app, slowly sinking into the abyss of electronic mind control. Is the sick, self absorbed, flailing remains of Homo Sapiens soon to be replaced by Hitler’s ‘new man’? A genetically modified, electro-magnetically controlled, psychopathic killer. The new ‘ trans-human police’ who will control the rest of us dumb downed slaves, with the iron fist of abuse and cruelty. See my article: Requiem for Humanity. Hollywood is trying to programme us that this is so. But in duality, there is always an option. “The first thing you have to know is yourself. A man who knows himself can step outside himself and watch his own reactions like an observer.” Adam Smith. The ego life is opposites, it’s always me versus you, but there is an option. Adam Smith’s statement is so profoundly simple, and yet so often overlooked by the arrogant, ego centred mindset of today. 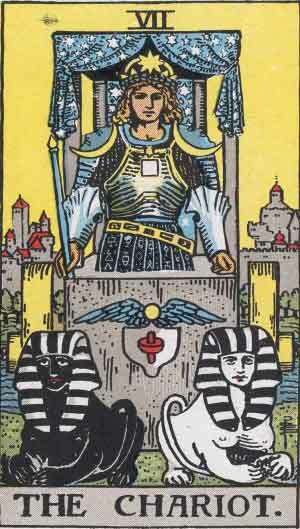 In the Rider-Waite deck of Tarot cards, the Chariot is a wonderful example of our human condition. Once we begin to observe ourselves, we soon realise that our whole existence, wants and desires are based in the sense world of the reptile mind and, that this dimension is not our world, it is theirs, and the game of duality ‘us versus them’ is a reptilian creation. After all, they gave us their mind and split our blueprint, so why wouldn’t it be their creation? ‘We are not naturally petty and contradictory. Our pettiness and contradictions are, rather, the result of a transcendental conflict that afflicts every one of us, but of which only sorcerers are painfully and hopelessly aware: the conflict of our two minds! One is our true mind, the product of all our life experiences, the one that rarely speaks because it has been defeated and relegated to obscurity. The other, the mind we use daily for everything we do, is a foreign installation . Getting to grips with the idea that we are nothing but a programme, constantly at war with ourselves and everything around us, is a big deal. I think this revelation, as stupendous and challenging as it is, is the awakening, the shift in awareness… that is written and talked about by so many, but rarely understood. The understanding that this reality and its counterpart the ego, the I, is an alien installation and not who we truly are, allows us to enter Don Juan’s active side of infinity. 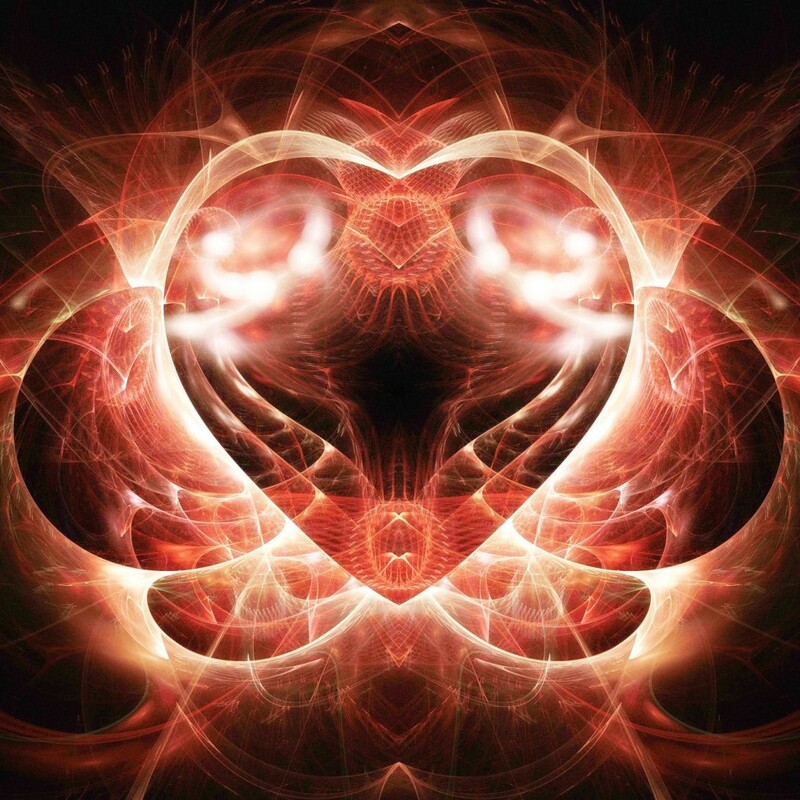 Once we set our intent to withdraw our charge from the game of ‘us and them’ and stay centred in the zero point of the Heart, we can begin to dismantle the predator programme. Only by becoming the Divine observer, crowned with stars, sun and moon, can we take up the reins and drive the chariot of self into the fifth dimension. The purpose of life seems to be to acquaint a man with himself and whatever science or art or course of action he engages in reacts upon and illuminates the recesses of his own mind. Thus friends seem to be only mirrors to draw out and explain to us ourselves; and that which draws us nearer our fellow man, is, that the deep Heart in one, answers the deep Heart in another,–that we find we have [a common Nature]–one life which runs through all individuals, and which is indeed Divine. Love and hate are polarities of the Third Dimension, and have nothing in common with the Divinity of the Heart. Only Oneness fills the space of the Heart-field, there is no separation. This is the realm of the Fourth dimension, the home of the warrior/magician, and where we learn to be a force of intent in this separate reality, rather than a victim of effect. 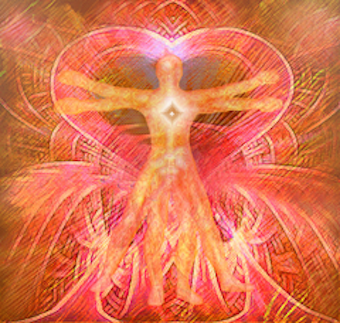 The fourth chakra of the Heart, the element of Air rising, opens into the Space field and, according to the latest quantum research, the human body is 99% space . It is only the senses[the reptile installation] that gives rise to the illusion of solidity. Become an observer and fly! What a great article to wake up to today. Thank you for your perspective and input as it always reminds me to continue in the process of breaking free of the slumber which envelopes me. Laura and I were just talking about how the reptilian lifestyle is imposed upon humanity in so many ways. You really are a teacher of such HUGE Magnitude and I’m so glad to be in class today. In fact, that’s me in the front row. Did you check out the awesome video? Synchronicity at its best. Elva, If you are referring to the link that was on your site earlier this morning, then yes, I did. I came back this evening because I wanted to copy and paste it. However, I don’t see it anymore. The one I am interested in was sent in by someone. The post seems to be gone. It was fascinating and disturbing. But nothing that I did not already know or had a deep sense of already. Noelle, here is the link. Radio Mysterium: A Cosmic Apology. Geoff Byrd. Here is the link. You Tube: A Cosmic Apology. Geoff Byrd. Elva, This is the first time I entered your website and read your article. Thanks to Jeff Rense website. Elva, I made a mistake in my first comment. I said I saw your article in Jeff Rense, when in fact, I saw it in David Icke website. So sorry for that. I’m glad you found Heartstar. If you have any questions I’ll try to answer them. thanks Elva – both for the writing and for presenting the video. Awesome indeed. Thank you for this writing Elva. A poignant reminder about all the illusion out there and the importance of awakening the heart center. I have found myself slowly unplugging from so much tech time and I am the better for it.